Browsing releases on Bandcamp sometimes seems to be a never-ending streak of discoveries. Just look at this 17-tracks awesome groovy bouncy 8-bit release, isn't it beautiful ? Does it not make you want to don your adventurer's hat and go searching for dozens of holy grails yourself just now ? 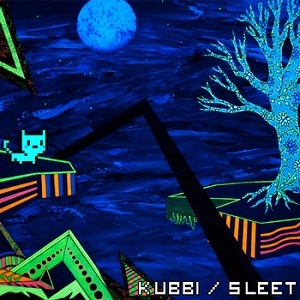 It works on me, Kubbi's music is another very good discovery, especially in 8-bit music, which is so often transformed into something gloomy and violent. This one is sometimes calm, sometimes bouncy, enjoyable all the way. I'm going to listen to the rest of his releases, if you'll excuse me.